I am writing these words in late October and there’s a good chance that this column won’t appear until just before Election Day. My hope is that these thoughts might help as you discover the election results. What kind of America will we wake up to on Nov. 9? If you’ve lost your fervent sense of idealism, will the election results help you to regain it? Shouldn’t you be an idealist no matter who wins the election? Even if the incoming president might appoint two or three justices to the Supreme Court, should the name and party affiliation of the person in the Oval Office matter as much? Here’s my belief. It should matter much less than it does at this time in our history. Yes, I’m an idealist. Let’s review why the results of one election should or should not matter as much as we think it does. The Judicial Branch: Worried About Who Gets Appointed to the Supreme Court? Even if you favor one ideology over another, it just shouldn’t matter that much because a Supreme Court justice’s job is to interpret the Constitution, not promote an ideological agenda. Perhaps unfortunately for all of us, the Supreme Court justices are all human beings and as such rely on their life experiences and worldviews as they interpret the Constitution. Yet, a justice should not make or be seen to favor one ideology or political party platform over another. If, and when, a justice steps outside these neutralities, he or she should be sanctioned by the other justices and the other two branches of government. Repeated offenses should serve as cause to remove that justice from the court. Sure, that’s not the way the court works currently, but it’s how I’d like to see things run in the future. I’m an idealist. The Legislative Branch: Vote for My Party but Especially for Me. Twenty-four Republican senators hope to maintain their jobs. Only 10 Democrat senators seek to do likewise. Therefore, a Republican Party White House win could affect those Republicans positively. Over half of the Republican contests have been labeled by the media as “toss-ups,” not a sure thing. One of the hot-rock topics during this election season has been whether one political party is more unified than another and the degree to which these parties support their candidate for president. Some of those running for the Senate and the House have publicly disavowed support for their party’s presidential candidate. Again, this should not matter as much as it seems to during this election. 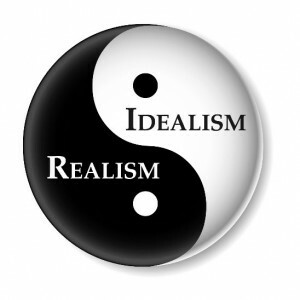 I’m an idealist. The Executive Branch: Elections Have Consequences. The president is the nation’s chief executive officer (CEO) and is charged with the execution of strategy. In fact, the president works for each of us, not the other way around. In business, the CEO has a board of directors whose job it is to help devise workable strategies for the enterprise, assist the CEO, and network on behalf of the company. The board of directors does not protect the CEO; rather it assists the leader to make the organization the absolute best it can be. We, the people, should be the president’s board of directors. We should work through our representatives to convey the strategy that we wish the Congress and the president to act on. The more we live up to that role, the more a president will start living up to his or her role. I’m an idealist. We need idealists as long as we live under big, bloated governments feeding on the lassitude of a citizenry that wants everybody to have a benefit at everybody else’s expense. We need them as long as this nation is trying to live high on money borrowed from our children’s unborn children. We need idealistic, courageous men and women as long as we have judges who cannot or will not lay aside their politics when they put on the judicial robes. Author: Bob Brescia serves as the executive director of the John Ben Shepperd Public Leadership Institute in Odessa, Texas. His latest book is Destination Greatness – Creating a New Americanism. Bob has a doctoral degree with distinction in executive leadership from The George Washington University. He also serves as Chairman of the Board of Basin PBS – West Texas public television. Email: [email protected] or Twitter: @Robert_Brescia. 2 Responses to Depressed About the Election? As always, Bob Brescia speaks to heart of the matter in an eloquent and thought provoking way. He carries the torch of the ideals and principles of John Ben Shepperd.